Busy Tonight with Busy Philipps. 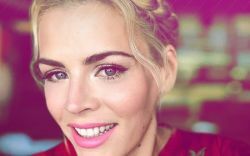 Join host Busy Philipps and her special guests for this very special SF Sketchfest live adaptation of her hit E! talk show, "Busy Tonight!"